Four chairs on the beach. That’s the picture. Four identical chairs. Same size, same color…four chairs all the same. A family of four but the spacing is not the same. The two chairs in the center are placed close together. It is a family of four but the two middle chairs are closest as if an anchor for the other two around them, an inseparable pair. The chair on the left in the family of four beach chairs is placed slightly farther away than any of the others. Four identical chairs, still clearly with the family of four but separated slightly more than any of the others. Separated as if that chair could be on its own yet still close enough. Still identical to the other three, still together in the family of four but on its own too. The chairs are the same but the spacing is not the same. To the far right a chair is slightly askew and further from the middle two. It’s almost as if that chair is figuring out what it wants to do. Not yet not as far from the middle anchor chairs as the chair on the left but not right beside. The chair on the right is making its own space. That much is obvious. Still the same, an identical family of four but slightly separated. The chairs in the photo belong to my brother Dan and his family, his wife Krista seated closely beside him and to their left and right their two children. Their son Ryan will attend Columbia University this fall. He will be slightly further from the family of four but still the same, only the spacing will be different. Their daughter Anna will be a freshman at Webb School in Knoxville this fall. Freshman year is a big season in life. It’s a season when you find yourself, when you begin to make your own space and solidify who you are separate from your parents. It’s a season when you feel slightly askew and that’s ok. 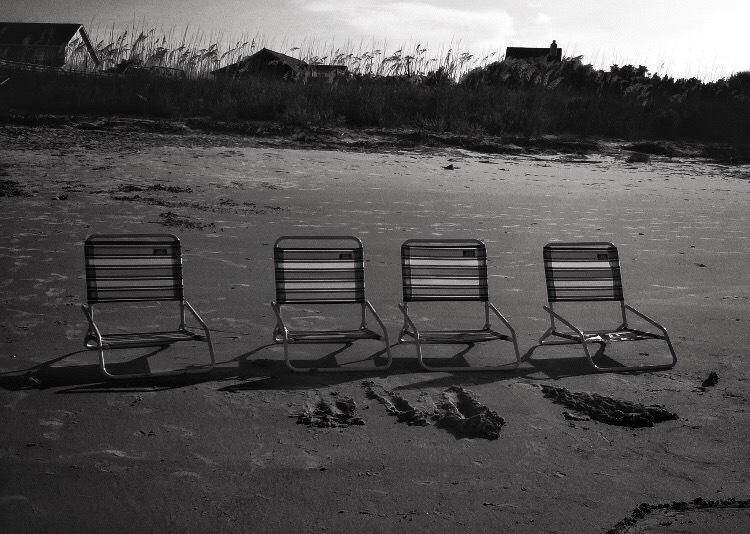 In truth the picture of the family of beach chairs is four years old. The chairs were probably placed in no particular order. Placed purely for their family of four to enjoy the sun and the sand and the sound of the waves with no underlying meaning whatsoever. A family of four identical chairs, only the spacing is different. Oh the things that we see and the stories they tell even when they cannot speak aloud. I wonder who your parents were….where do you hail from?